My wisteria died because of root rot. 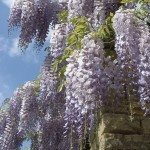 Can I plant new wisteria in the same spot or must I treat the soil before planting? If I need to treat what do I use? Some infections can be cured, and some cannot. To be on the safe side, I would choose a new location. If you still want to attempt to correct this area, then wettable sulfur and dolomitic lime will kill it if it is able to be killed. Was the root rot caused by poorly drained soil? 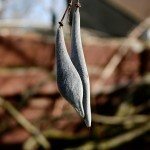 Wisteria need moist and well draining soil, so if you need to amend the soil, do so before planting again.